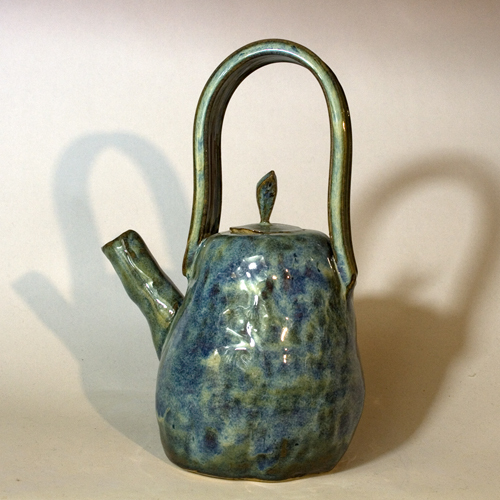 'Open Studio' is for people who have done a course with Hugh, or who know enough to make ceramics on their own - often people progress to this after doing a course but if you have experience from elsewhere that's fine. Come and join the thriving little pottery community at Handknitted Pottery! The cost is £8 per hour and you buy your own clay (available from Hugh at £6.50 per bag for Stoneware (Special Fleck) - or bring your own). Glazes and firing are included. While Open Studio is not a lesson, Hugh will of course help you find things in the workshop and give you advice where you need. However, it's not suitable for anyone who has never done any ceramics before as you need some knowledge of what will work and what won't. If you're a complete beginner, lessons with Hugh are the way to go. Details here. Contact Hugh for details and to book yourself in here.